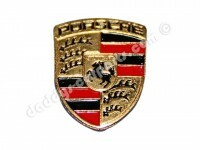 The Porsche Cayenne entered the market with mixed anticipation. However, it soon proved that it was the performance vehicle among SUVs and was praised for its excellent handling and powerful engines.The lineup initially consisted of the V8-powered Cayenne S and Cayenne Turbo. Later in the model cycle, VR6 and diesel-powered versions joined the lineup.